Ludlow Garage: Cincinnati's coolest intimate music venue. The service was good but my wife had a problem with her food. Yes, we love it! The shows are top notch and the atmosphere is really good. Looking forward to what the remodel will bring. We have been to the Ludlow Garge 8 times and have loved it every single time. Great atmosphere! 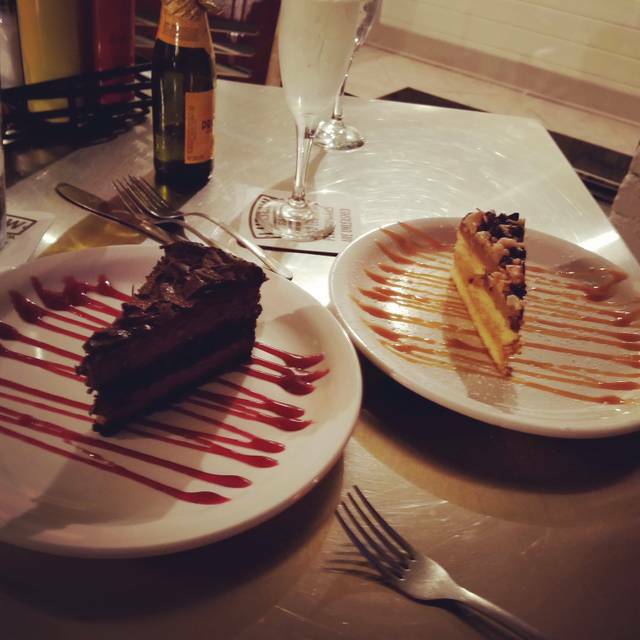 We like the food and the very attentive service. Great food, good value! Would recommend it before shows! The service was excellent with a very knowledgeable wait staff. Love the food made in house that is very low sodium and desserts that were very low in sugar. This is our first experience and we will return. This was our first time at the Ludlow Garage. My boyfriend and I really enjoyed everything about the place! We will definitely be going back! 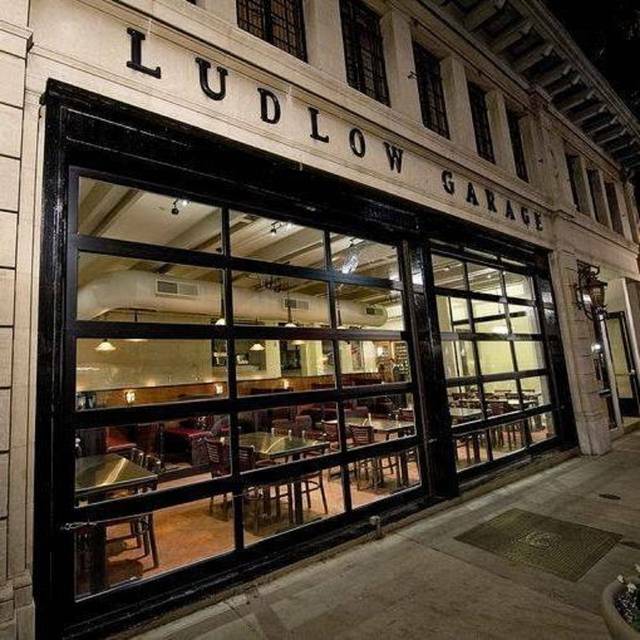 We enjoy the concert venue here at Ludlow Garage and always make a point to dine in their restaurant before the show. The food this past weekend was good. We each had the burger and fries. The fries were cold, but the burger was done to perfection. The manager is personable and interactive with diners and that speaks volumes about the care that is taken in assuring quality. During previous ownership, we had dined there and they had a bigger menu selection. More to choose from in daily specials created by the house chef. I preferred the previous menu under the other owners. But, for a quick bite before a show, this is fine. It is basically a step above standard bar food. If you enjoy burgers, the burgers are excellent. Restaurant is convenient to eat at before a show. Love sitting near the window when the "garage" door is open. Bartenders are great. It was great to visit the restaurant before the show on March 30th. Brian was very kind, and our waiter (sorry I don't remember his name) was excellent. The food was great, and being able to finish my drink downstairs at the show was an added bonus. Its a very neat little venue, and a neat bistro type atmosphere. Thanks for the great service. A real gem. Food was fantastic. Our waiter ( Eddie) was great. Food came out timely and of course the show was outstanding !! Eddie, our waiter made it great night for the Mrs... I couldn’t have made her night special without his help. I had a wonderful time Kenny Lattimore was fantastic I love his voice and his background singer were great . the place is lovely and I will be coming back again and again the seat are comfortable and the place is cozy .. Would be a great place for will downing kem or Jill Scott ledisi lalah Hathaway . We ate in the restaurant before going downstairs to watch a show. Liked the atmosphere a lot, but similar to other reviews - they don't prepare their burgers properly. I asked for pink in the middle and received a dry overcooked burger. One of the waitresses was snippy with me when I asked for a refill on my beer. The craft beer selection was solid and the downstairs venue was outstanding. If I were to do it again, I would find somewhere else to eat as there were a ton of other options nearby. I would for sure see another show downstairs. Had dinner before a show downstairs. The food was okay at best. My husband got the black and blue burger, ordered medium was told it would have a little pink. It was charcoal. After one bite, he couldn’t eat anymore. Server picked it up and we told him the burger was inedible, he said he would talk to the manager. The manager took $8.00 off the bill, didn’t even cover the cost of the burger! The rest of the food was fine, not great, but fine. Cobbler was the best thing we had that night. In the future, we will eat somewhere else if we go to a show there. No, I would not recommend. This was the worst experience I've had in Cincinnati. We had never been to the Ludlow Garage before and though the concert venue was disappointing, the dining was excellent. The menu allowed for needed Gluten-Free options. Our server was friendly, efficient yet didn't hover. I could even carry my wine in to the show. I have already raved about the dining at "The Garage." We were seated right away. Beverages and food came out correct and were very tasty. We will defiantly return. Perfect place to dine before a show at Ludlow Garage. I had the Pork Sliders and enjoyed them, perfect size portion with a beer and then downstairs for a great show. Park once and one stop entertainment for the evening. Friendly staff, good food, and great service! Great prelude to a great show! Love the Ludlow, recommend it whenever I can as a great venue where you really get a chance to be close to the performers. Loundon Wainright was up to his usual antics, and gave a great performance. The food was great, excellent service, friendly staff. Overall experience was great food very tasty. Staff friendly. Seated right on time. Service was quick but not rushed. Food was well prepared and inviting. Server was knowledgable on menu items. First time we had gone to Ludlow Garage and we really enjoyed it. The service was great and the value for your food was outstanding. We went during happy hour and the deals on food and drink were great. Cool atmosphere. Good local beer selection. Food was less than stellar. I had a burger, ordered it medium-rare and it came out well-done, no pink in the middle at all. It also lacked any flavor profile--very bland. Fiance had the Nashville hot chicken and he had the same complaints, was very dry and didnt have much flavor. Went to Ludlow garage for dinner prior to a show. The restaurant was very busy that night. We had a reservation but unfortunately our table wasn't ready. The staff were very accommodating and found us room at the bar and bought our first round of drinks for the inconvenience. The food was great. Despite the amount of patrons in the restaurant the service was quick and we made it to the show on time! Service was great. Food was good but mostly convenient because we went to a concert after dinner. Concert venue was unique and very fun. I went for the concerts but decided to make reservations for dinner as well. I was not disappointed, the food was great, the service was great, and the staff is helpful and friendly. Risotto was undercooked and chewy. The flatbread wasn’t very hot...cheese wasn’t even melted. Awesome burger, great service and friendly staff. Yum! We ate here before a live music event mostly out of convenience , but we were pleasantly surprised at by the good food, good value . The restaurant has the urban cool vibe and the service was great as well. We will defiantly go back again . Great service from Eddie. Average food - burgers were basic, meatball sliders small and no sauce, fries yummy. Have had better for less $. Venue is cool - especially downstairs where bands play. Loved it! The food and service were exceptional. Saw a show downstairs after dinner. Show was fun and it was great having drink service there as well. Great place to eat before going to the a concert downstairs. Service was very good! It was just fair. The manager came up and talked to us for a bit, which was a really nice personal touch, but the food was pretty much just so-so, and it was priced a bit high for what it was.